Situated in a converted warehouse on the Bosporus, the Istanbul Modern features contemporary art by local artists, a sculpture garden and restaurant. After strolling through the exhibits, be sure to plan lunch on the stylish terrace overlooking the Bosporus, where the view rivals the art and the food is wonderful too. 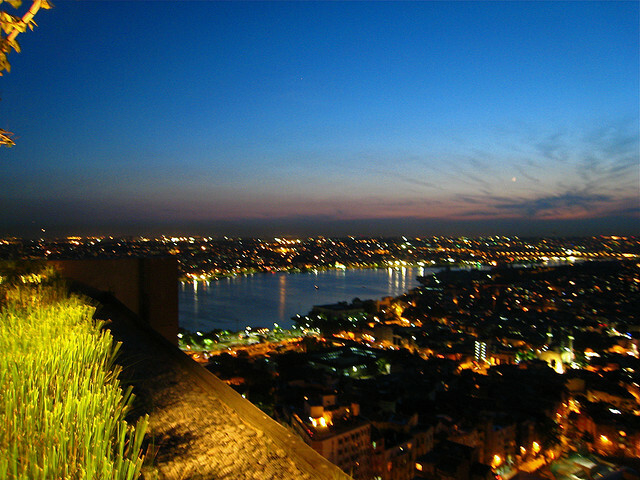 Mikla, located on the roof of the Marmara Pera Hotel is one of the city’s most elegant dining venues and has unforgettable skyline views. 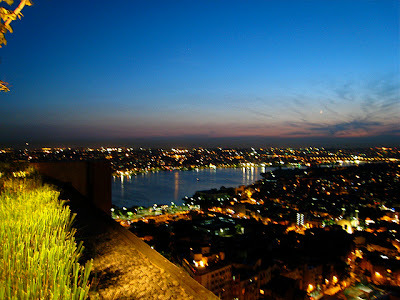 One of the coolest bars in Istanbul, 360 is a rooftop lounge with panoramic views of the city’s skyline from the spire of St. Antoine Church to Topkapi Palace and Sultanahmet. Its central location on Istiklal Street makes it popular with trendsetters in Istanbul, who congregate for sunset cocktails, artfully presented modern Turkish cuisine and the latest dance tunes played by popular DJs. • Nublu Istanbul @ Babylon, an offshoot of Nublu NYC, offers hot music groups and artists, and is owned by internationally acclaimed Turkish jazz artist Ilhan ErÅŸahin. • Bird Bar & Grill, serves world cuisine inspired by the chef’s travels to France, Italy, New York and elsewhere. • Up Lounge Bar & Restaurant in the New Tulip City Hotel welcomes customers with a modern Mediterranean and seafood menu prepared by Pelin Görpe, a young chef who cooked in several popular restaurants in the United States. 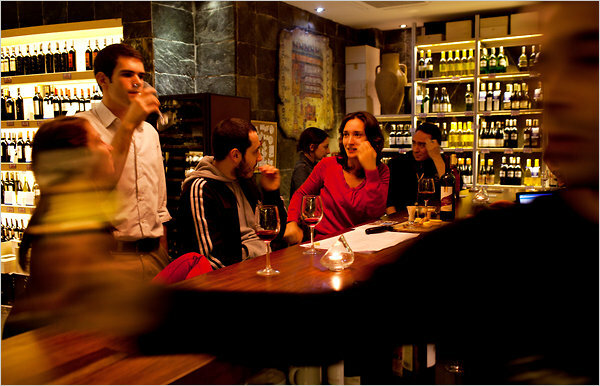 • Corvus Wine & Bite, owned by the Corvus Vineyards, offers a great spot for a glass of wine and tapas dishes. • Owned and managed by the 360 Group, Fish is a multi-level venue specializing in unique appetizers and seafood dishes. • Minyon at W Istanbul: The latest venue for Istanbul’s hottest new chef, Emre Capa, Minyon has become one of the stars of the city’s trendy dining and nightlife scene. This contemporary space provides an upbeat entertaining evening of dining on Capa’s “small plates” cuisine, viewing artwork by young Turkish artists and feeling the rhythm of electronic and lounge music. Surprising dishes from around the globe such as mint and lemon risotto, a square ciabatta burger with pear confit, and mastica crème brulee blend with Capa’s special style. • Asitane’s chef has spent years studying the recipes of the lavish Ottoman era and serves true Ottoman “court” cuisine with over 200 historic dishes. The restaurant’s charming garden provides an oasis of tranquility amidst the energy of downtown Istanbul. It is located beside a hidden treasure, ancient Chora Church with its rare and spectacular frescos of the life of Mary.